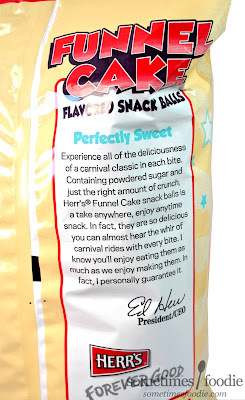 Sometimes Foodie: Funnel Cake Flavored Snack Balls: Because Everything is Better Ball Shaped? 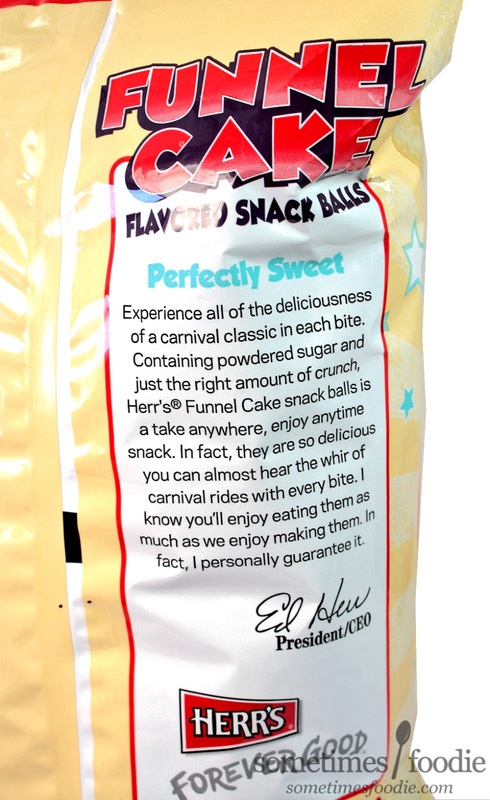 Funnel Cake Flavored Snack Balls: Because Everything is Better Ball Shaped? No need to worry! These might be expired NOW, but they weren't back when I ate them. These pictures and notes were taken from November 4th. I actually have a bunch of half-started posts from the last few months I'll be finishing up, so keep that in mind before turning me over to the botulism police. Have you guys every been to Ollie's Bargain Outlet? Ollie's buys up all kinds of off-season stock (most recently all the leftover Toys R' Us) but they also get tons of junk food. I joke that it is where limited edition food goes to die, but it IS where limited edition food goes to die. The food related aisles are a seasonal graveyard. We're talking limited edition cereals, seasonal flavored Pop-Tarts, and quirky treats that maybe didn't do so well in grocery stores at full price, like these Funnel Cake Balls. The name is...not great. It sounds like a South Park parody product, but here we are, and to be honest, the concept overall does sound appealing. Were these worth the buy? Color-wise, the bag reads very "summer" or "carnival-like." We have a mixture of sandy off-whites mixed with some marquee bursts and stars, but the red gingham cloth seems very "picnic" and out of place to me. When I buy funnel cake, it's at the boardwalk, and this is definitely not giving me boardwalk. It is rather nice, and aesthetically pleasing, and it certainly caught my eye, but the juxtaposition of the colors and textures seems a little lost to me overall. 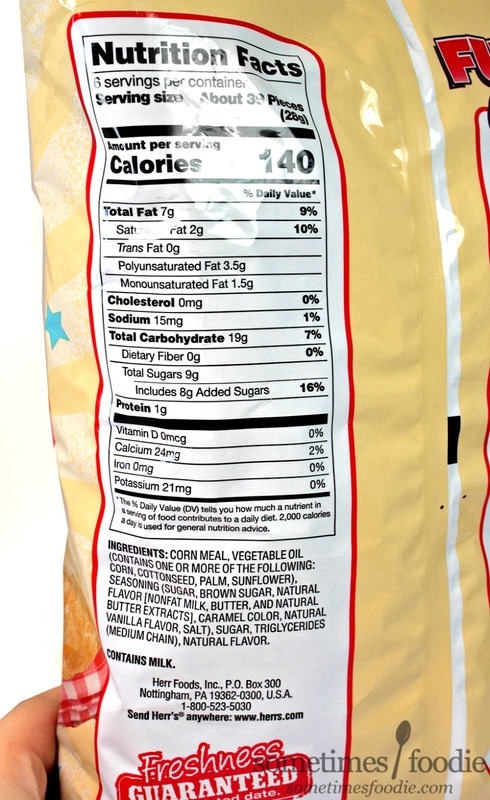 Once opened, the contents of the bag smell sweet and caramelized with a hint of corn. I can't quite put my finger on an exact brand, but this is definitely giving me breakfast cereal vibes. 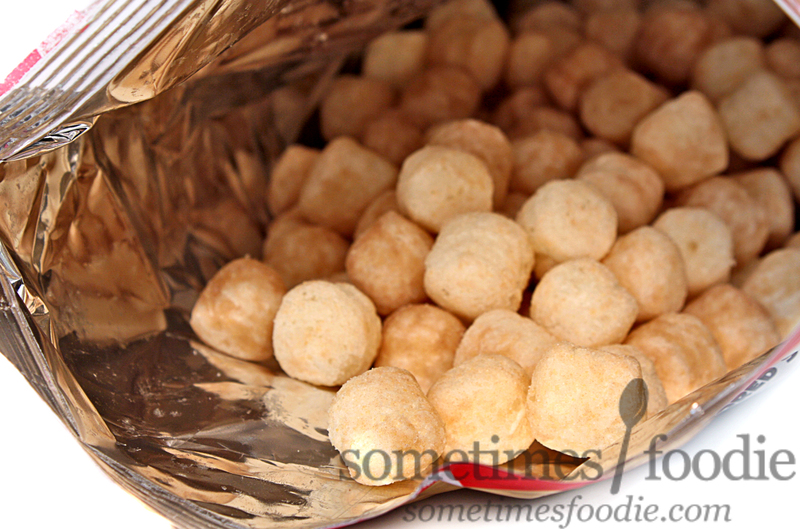 Visually, they look like giant puff-sized Peanut Butter Crunch, but they certainly don't smell like it. Aroma-wise, this leans very caramel-corn to me. It's rich, almost buttery, sweet and a little maple syrupy? Thankfully, these smell as good as they taste. While the puffs are light and airy, with a mild corn-like flavoring, the sugary coating is sweet and surprisingly authentic? I mean, I KNOW I am not eating a real funnel cake, but this is pretty damn close. 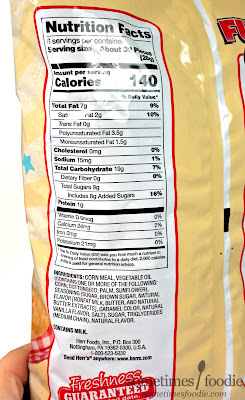 If you're the kind of person who likes to snack on dry breakfast cereal, this is the snack for you! 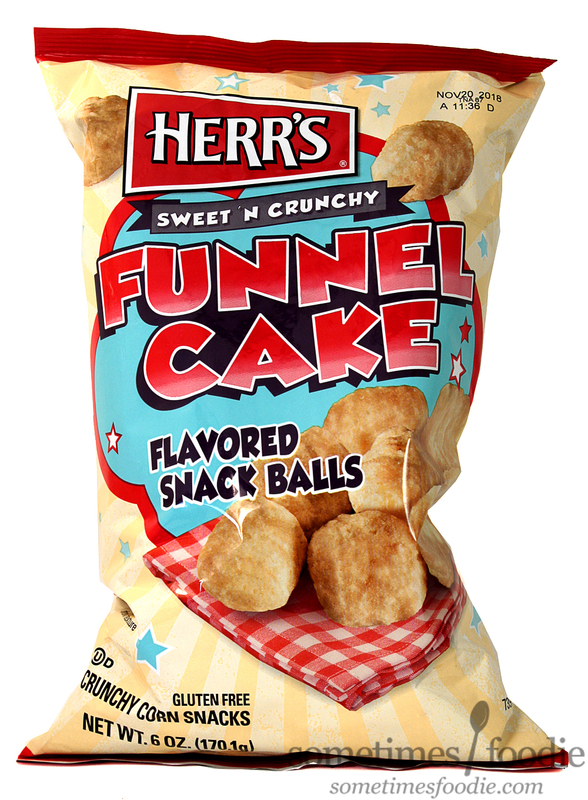 I can't say that it'll scratch the same itch as a real funnel cake, these are delicious and very snack-able. I bet they'd be really kid-friendly too, and this powdery coating won't stain your fingers orange. (A plus~!) Well done Herr's!